Tall and Skinny and Blunders Along the Way! I want you to know that I know in the real world these problems are not even remotely problems and after I wrote this entire post I thought, “Really Nanc’ this is what you have to complain about? People are going to think your perspective is a little off!” Well, I hope you know that it’s not…I just thought you might enjoy a chuckle or three! 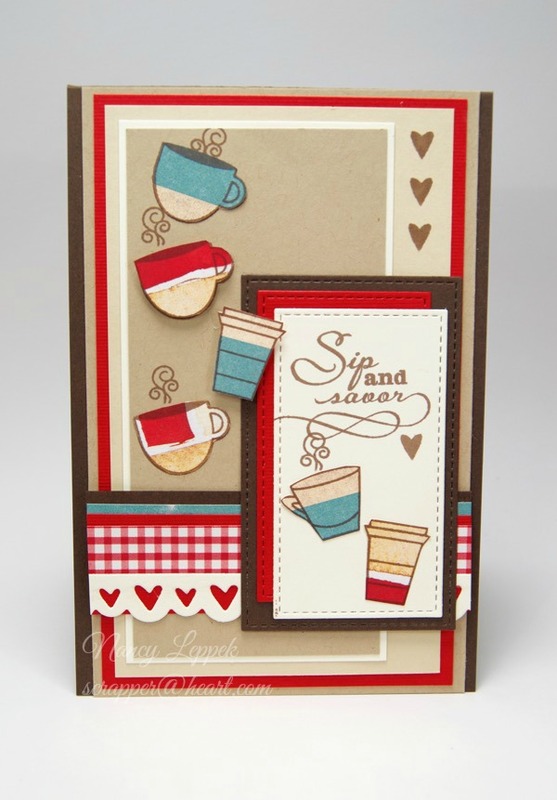 Categories: Cards | Tags: Card making, Cards, rubber stamps, Thinking of you, Verve Stamps | Permalink. Wow, I think you were definitely getting signs that you weren’t destined to play in that challenge. lol Glad you posted it, though….love the card! I love This card, and your post made me laugh. You must of been watching what I was doing in my room. Simple card design, big dumbly fingers. Oh my….I have had days like that with card making. Way to press on!! Darling card. Love your card and glad you triumphed over the little blunders. I have had incidents like that myself. Thanks for sharing. I love your card even if you had a few blunders. In fact, just today I glued my panels on upside down too, but managed to get them off before they were too tightly sealed. But I guess that is part of the creative process to figure out what to do when we blunder. Lol…you sure know how to make me laugh! Thanks for the love too! Despite the hiccups 🙂 – this is an ADORABLE card! Love it!!! Now Nancy if you hadn’t told us your ordeal we wouldn’t have seen anything wrong with your card. Love the colour choices you used and a great layout with the added bits hehe. Glad you shared it too as it really is just fabulous. PS Just had my morning coffee. I read the entire post and I didn’t think that you were complaining. I just thought you were extremely funny! I was laughing at myself with you on this one. And, you got a great card ! Love the Kraft and the red and teal combo. Some days, things just go,that way. Most of us have been there, done that, at least in part, Nancy. I think you did a great save. Too bad you missed the deadline but your followers still get to see this great card. What a cute card! Love everything with coffee!